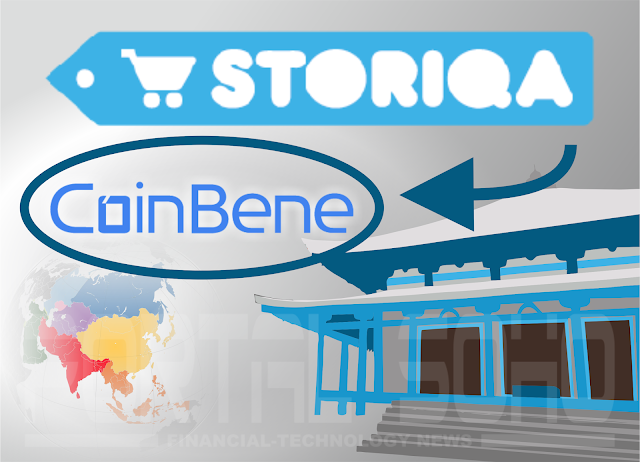 Storiqa starts the expansion in Asia through the CoinBene exchange. Storiqa announces listing on the Asian cryptoexchnage CoinBene on May, 31. Storiqa was founded in August of 2017, with the aim of helping SME retailers and producers ‘set up shop’ in just an hour, with minimal financial borders and global transactional fees. In January 2018 Storiqa has raised $25 millions through token sale and recently released product preview. Storiqa uses blockchain to solve pressing problems between buyers and sellers in ecommerce. Right now vendors encounter high fees that existing marketplaces charge and shopping lovers constantly fall for fake reviews. Storiqa eliminates spam on products using a blockchain-based smart review process - shoppers leave reviews on product only after receiving it. Vendors selling on Storiqa benefit from dramatically accelerated transactions and minimized transaction fees. Having the platform STQ token ensures fast and safe transactions between major crypto-currencies and traditional fiat currencies. Storiqa, which has a market cap of over $55 million, plans to release its MVP in August of 2018 but soon beta MVP version will be presented. Among its supporters for business development in China is former CMO of Huawei Alan Wong. Currently the marketplace is offering a 60-day free trial to test all platform features. Following the trial, vendors have a choice of 3 fee-based plans. Storiqa promotes a quick listing of products on its platform and increase of product sales.